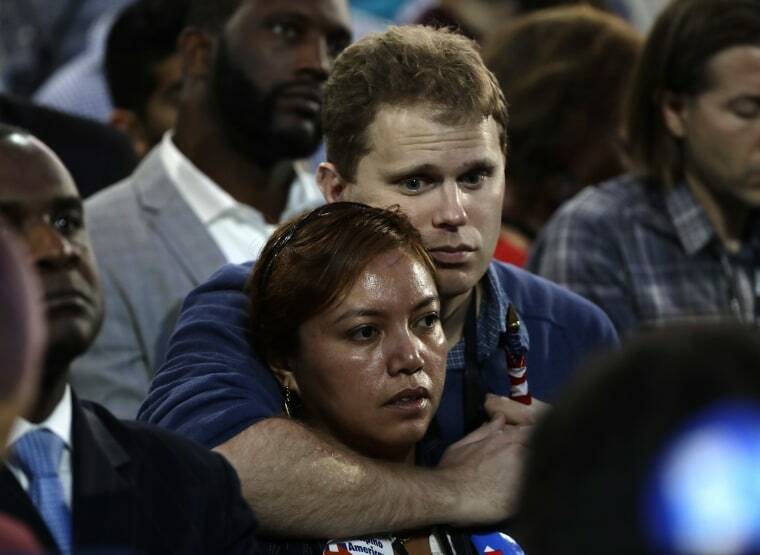 Hillary Clinton hopefuls awaited the election's results into the early morning hours. 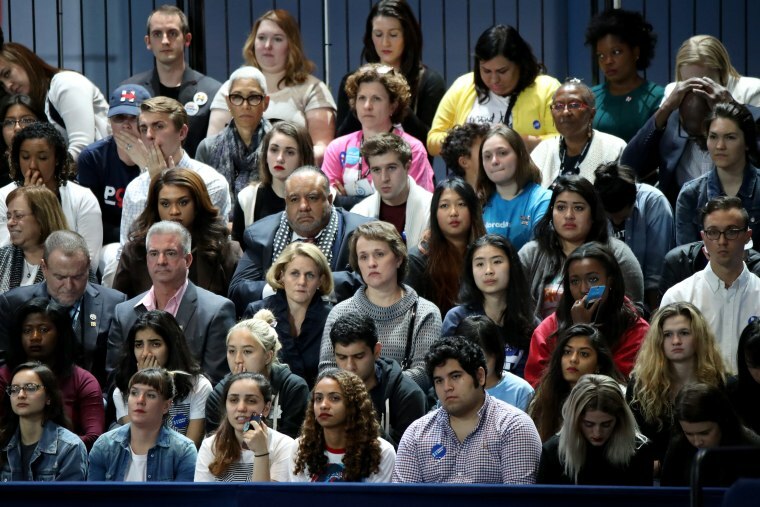 Supporters of Democratic U.S. presidential nominee Hillary Clinton watch state by state returns at her election night rally in New York on Nov. 8, 2016. People watch voting results in front of an American flag at the Jacob K. Javits Convention Center in New York City on Nov. 8. 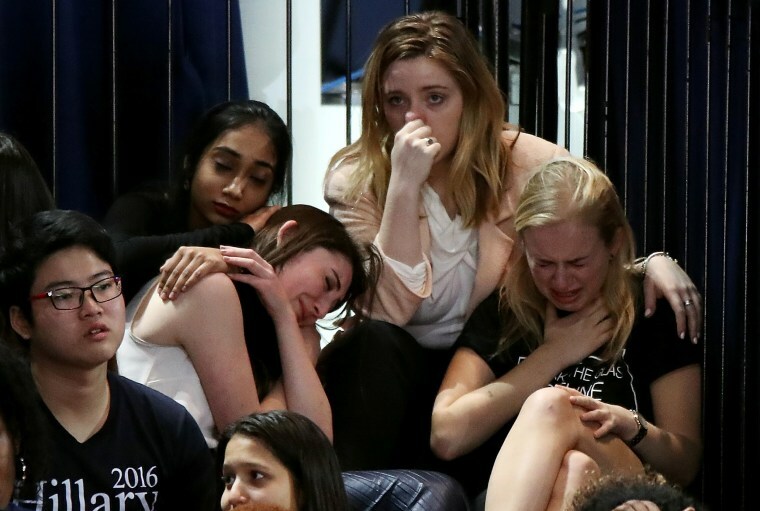 A group of women react as voting results come at the Jacob K. Javits Convention Center on Nov. 8 in New York City. 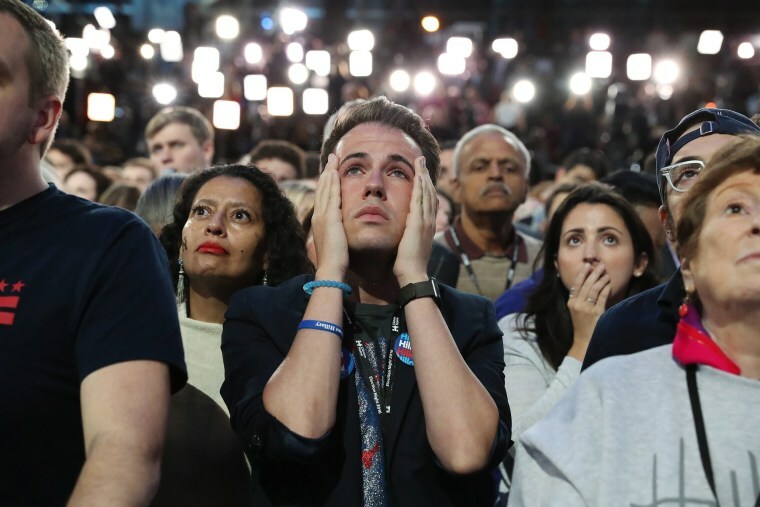 An audience watches results begin to come in on a big screen at the Jacob K. Javits Convention Center in New York on Nov. 8. 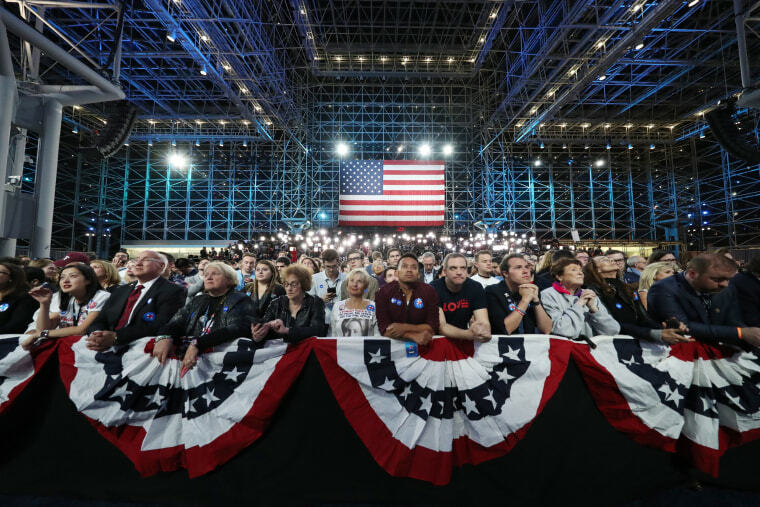 People watch elections returns during election night at the Jacob K. Javits Convention Center in New York on Nov. 8. 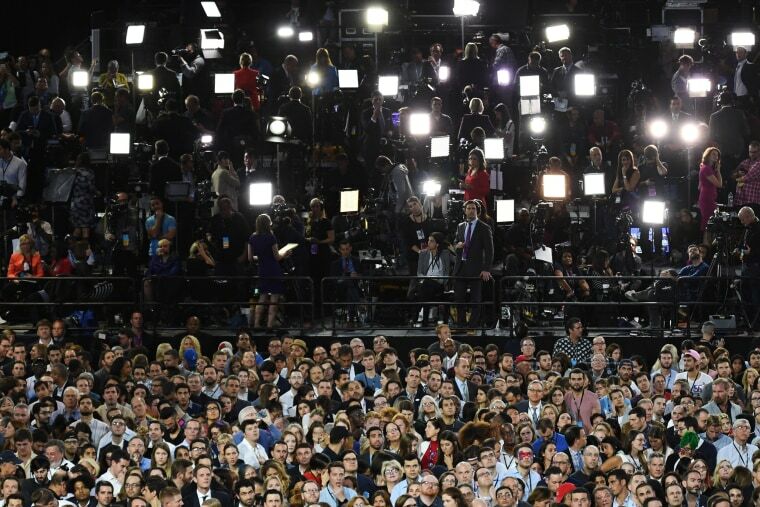 Media and supporters of Clinton watch results unfold during election night at the Jacob K. Javits Convention Center in New York on Nov. 8. 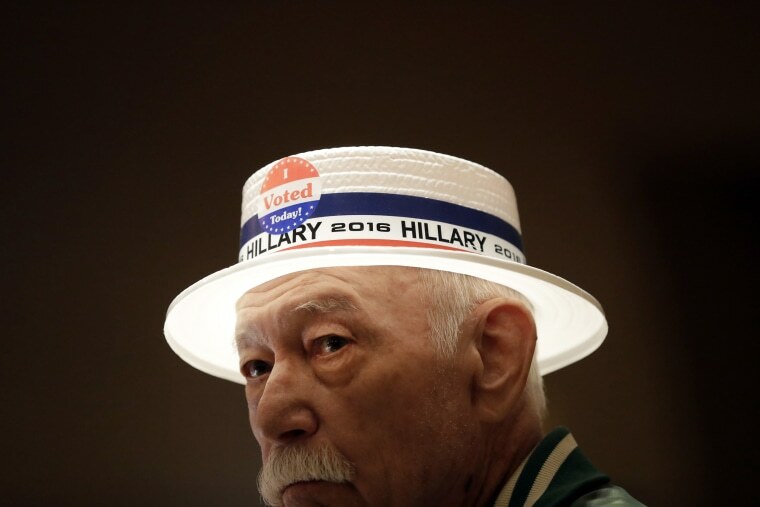 Julio Jacot wears a hat in support of Clinton at an election night watch party on Nov. 8 in St. Louis. 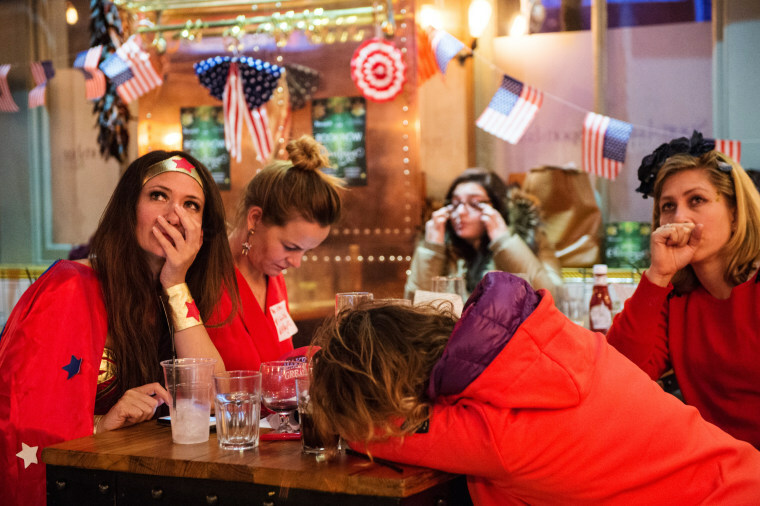 American Democratic Party supporters, one in a Wonder Woman costume, react to the news that Donald Trump has won the state of Florida at the Democrats Abroad election night party at Marylebone Sports Bar and Grill on Nov. 9 in London. 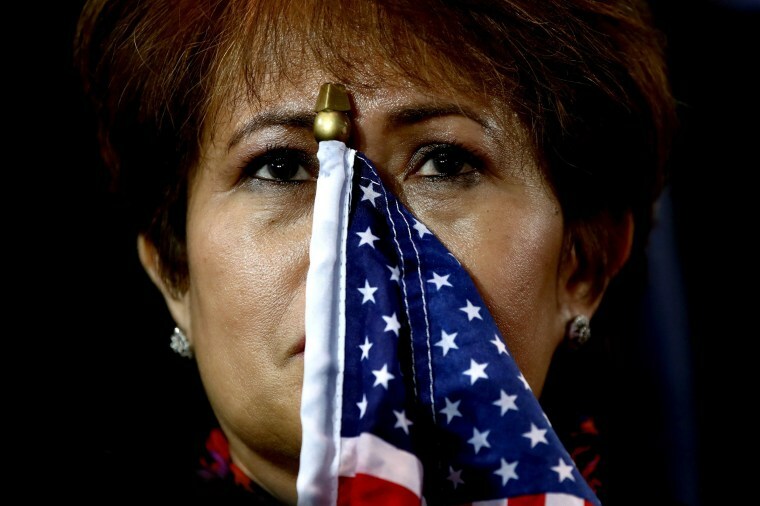 A woman holds an American flag to her face as she watches the voting results at the Jacob K. Javits Convention Center on Nov. 8 in New York City. People watch voting results at the Jacob K. Javits Convention Center on Nov. 8 in New York City. 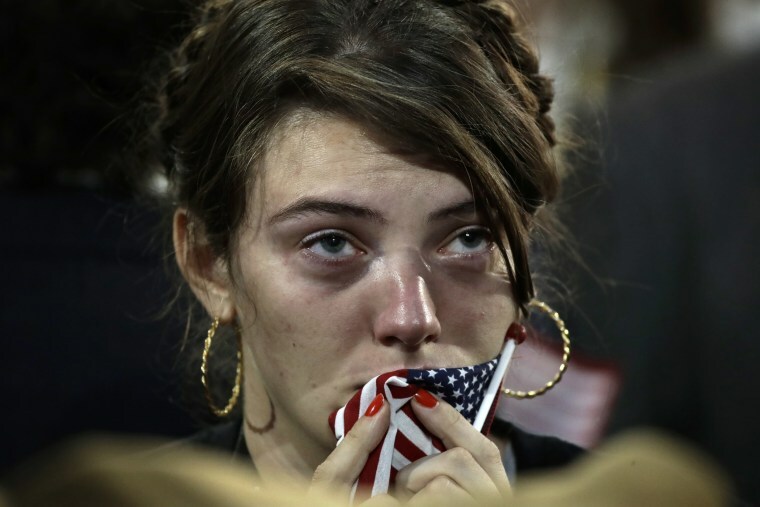 A woman watches election results in the Jacob Javits Center glass enclosed lobby in New York on Nov. 8. 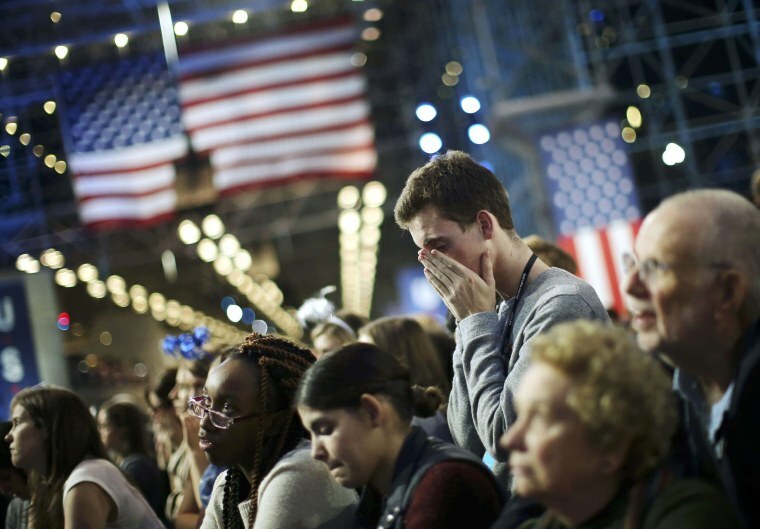 Supporters react to election results in the Jacob Javits Center in New York on Nov. 8. 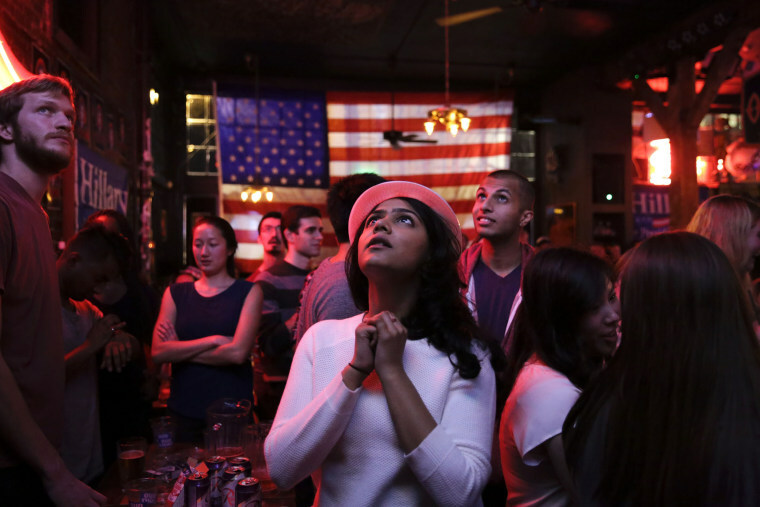 Sri Vasamsetti, 22, of Seattle and a supporter of Clinton, watches televised coverage of the presidential election at the Comet Tavern in the Capitol Hill neighborhood of Seattle, Washington on Nov. 8. 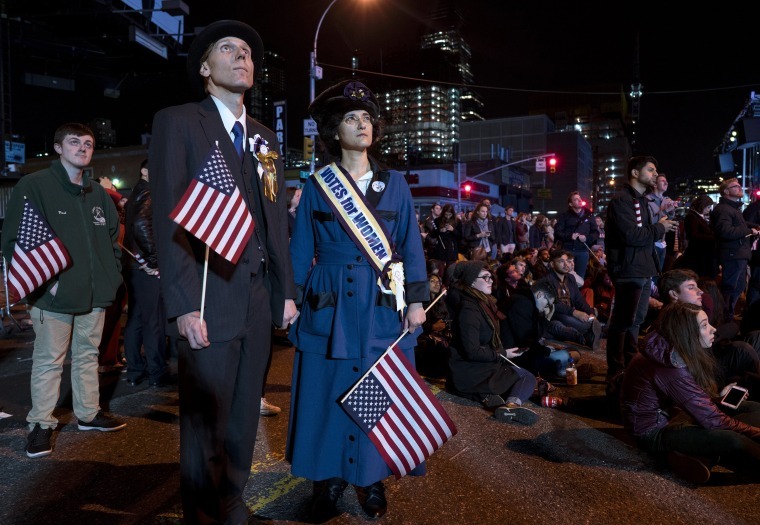 James Armstrong of New York, left, and Marci Morimoto of New York watch election results outside the Jacob Javits Center in New York Nov. 9. 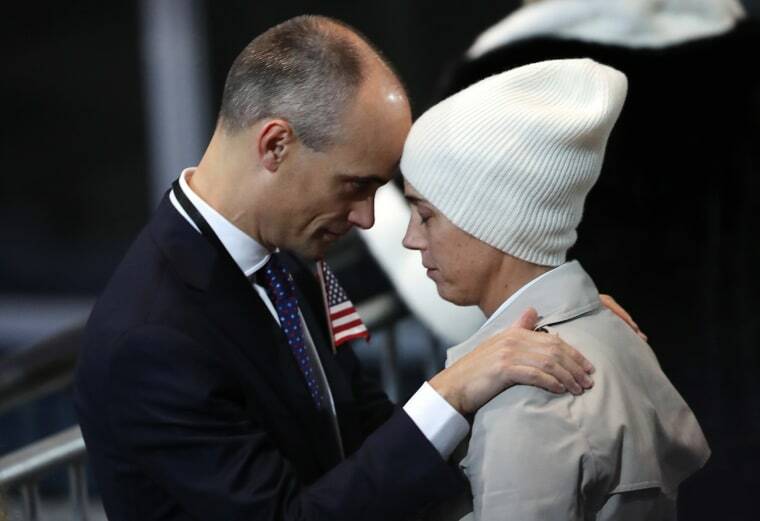 People embrace as they watch the voting results at the Jacob K. Javits Convention Center on Nov. 9 in New York City. 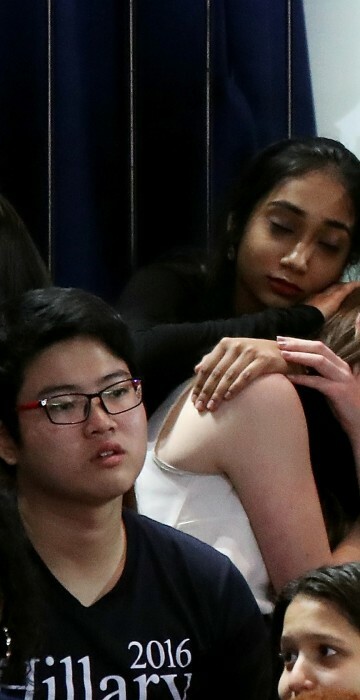 Audience members watch results on a big screen at the Jacob K. Javits Convention Center in New York on Nov. 8. 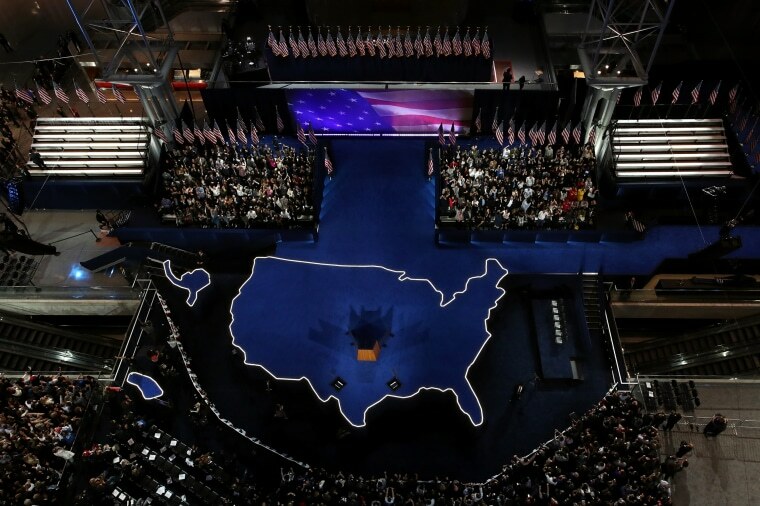 The empty stage is seen at the Jacob K. Javits Convention Center on Nov. 8 in New York City.